I was originally very excited about going to Potosi for a couple of reasons: a) while I was in undergrad I read about women miners who were very inspiring; 2) I met several people who said that visiting the mines of Potosi were an incredible experience; and 3) I heard the churches there were pretty awesome too. Mainly I wanted to see the mines. However, this worked out to be a problem for me. 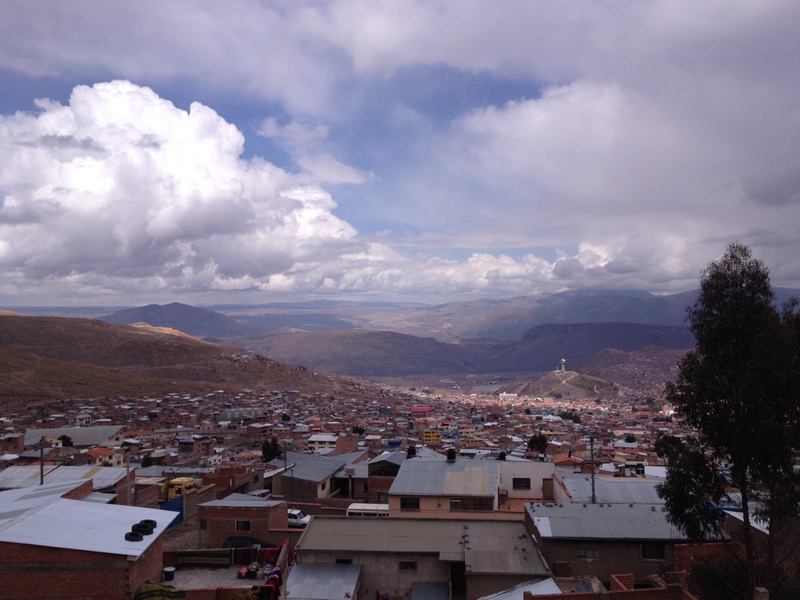 I also heard from many other travelers that I should skip Potosi. That the mines were VERY dangerous because people were setting off explosives without any training. Others told me that unless I REALLY liked churches that I wouldn’t enjoy Potosi. Sigh. I took the gamble and visited Potosi because I like making my own decisions about a place. I did see the mines, but because I was at near the end of my 3 week backpacking trip I was tight on time so Sunday was the only full day that I was there. Don’t even bother going to the mines a on Sunday if you actually want to meet and talk to the miners. 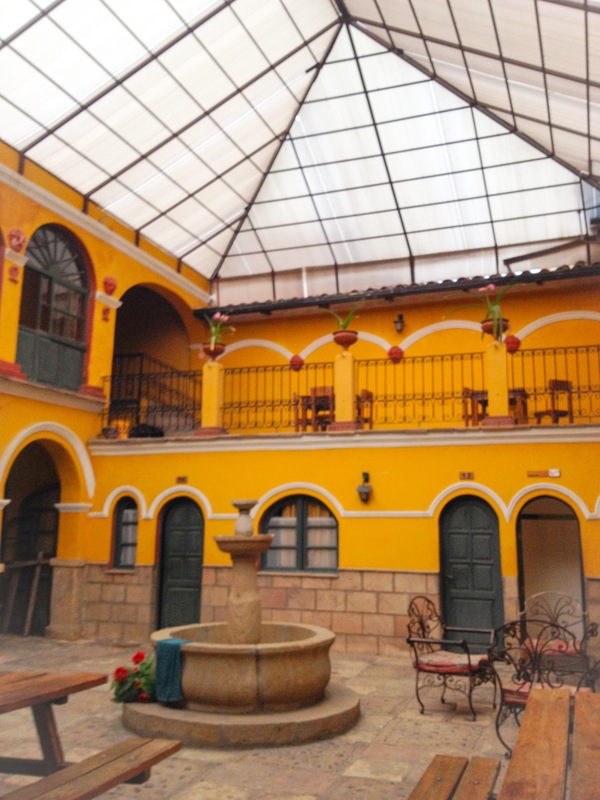 I arrived at La Casona (after my pleasant bus ride from Sucre) and immediately was drawn in by the beautiful courtyard. Good thing I like courtyards (especially covered ones) because that was about the only good thing this hostel had going for it. I’m not linking to them because lets just say that they had some HORRIBLE bathroom issues on the last day that they refused to do anything about for a couple of hours and many guests were VERY unhappy about the situation. 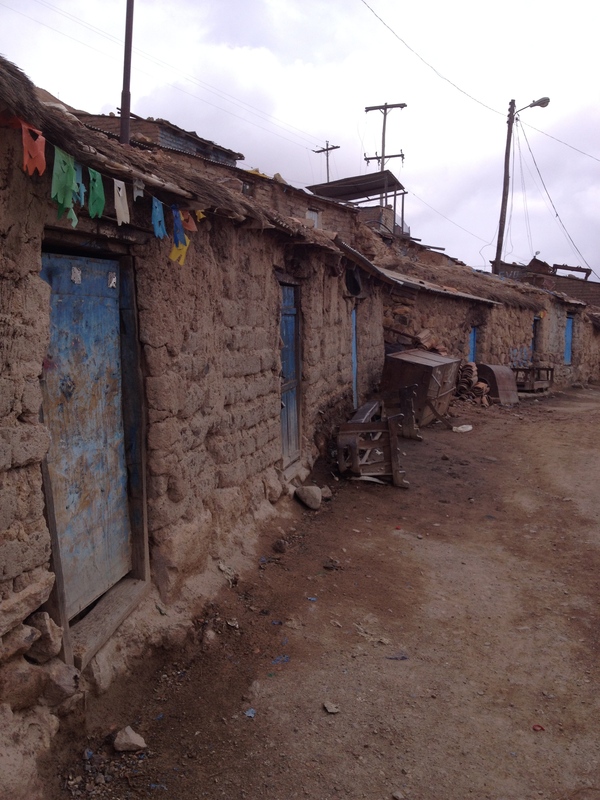 The only other good part was that the hostel also provided tickets to tours and the bus to go on to Uyuni. I took advantage of their services and booked the tour and bus ticket right away. The next morning I woke up early for the tour. A woman came to the hostel and got us outfitted in slightly dirty coveralls, boots, and clean bandanas. She told us to leave our backpacks and take only a little money to buy the miners gifts and to bring our cameras. We then hopped on the bus and went to a little store. 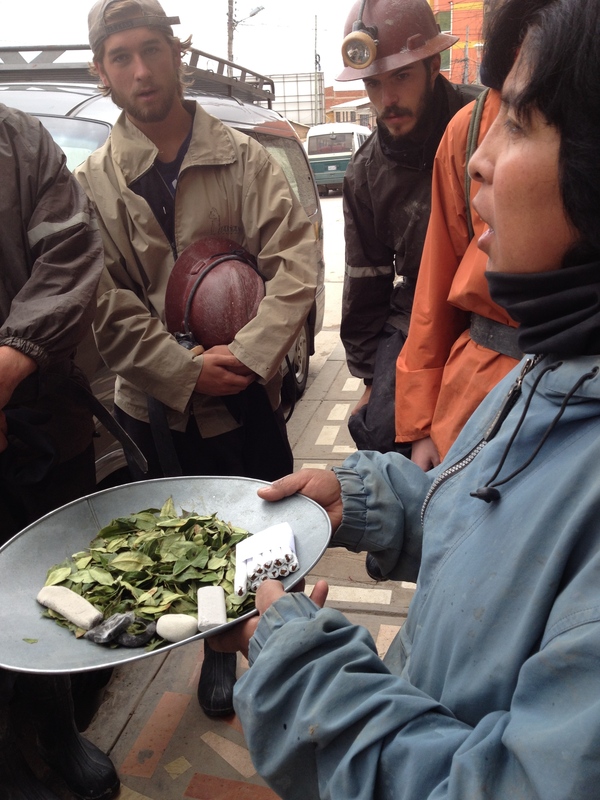 This little pan has some coca leaves, cigarettes, and EXPLOSIVES that they sell to tourists. These are supposedly for the tourists to buy for the miners, but there is nothing forcing them to give up their explosives! At the little store the lady told us about how the miners are very poor and only drink a little soda (or super strong rubbing-alcohol-esque liquor) and chewed on coca leaves most of the day. I bought some soda and coca leaves for the miners. We piled on the bus again. After a couple brief stops for photos, we arrived near the top of Cerro Rico. I had expected to see miners working, but maybe not that many (this is what the guy said who sold me the ticket). I was there for three hours and never saw any miners! I could walk about five minutes (I’m only 5’4″) upright before you have to start crouching down to get through the tight tunnels. Another guy and I turned around because eventually it became to hard to breath in the hot mines, at 13,290 ft above sea level, with a bandana across my mouth, in a tight tunnel short tunnel filled with dust, so we turned around about half way. If you are not cool with walking for a couple of hours or so bent nearly in double I wouldn’t go on this tour. I heard that two more people in our group had panic attacks later because the tunnel got so small that you had to crawl for a good portion of the way in pitch black. I was happy to not experience that and just chat with the hot Aussie guy instead. The others came back after a while and all looked like the walking dead. Most of them were super pale, exhausted, and covered in sweat. Some of them were surprised that the tour guide had let one of the tourists in our group light some explosives that he had bought at the little mining stour we stopped at before the tour. They didn’t meet any miners either. The one part I regretted about leaving the mine early is that I didn’t get to see the statue of “El Tio”. El Tio is a devil-like figure that the miners idolize. He controls the underground realm of the miners and exacts revenge on those who anger him. 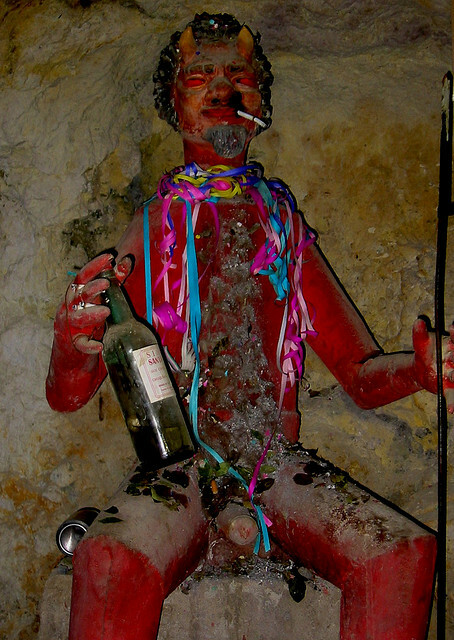 The miners leave cigarettes, coca, and alcohol for him. Perhaps if I had seen miners along the way and had been able to talk with them I would have been able to distract myself from my trouble breathing and I would have made it through the whole trip. 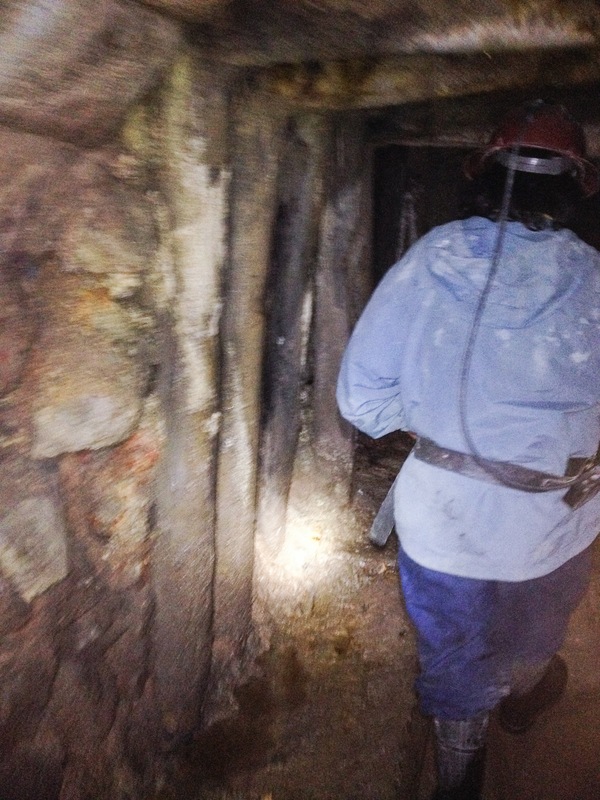 Since I didn’t I can’t say that I would rank the mining tour as a top experience. 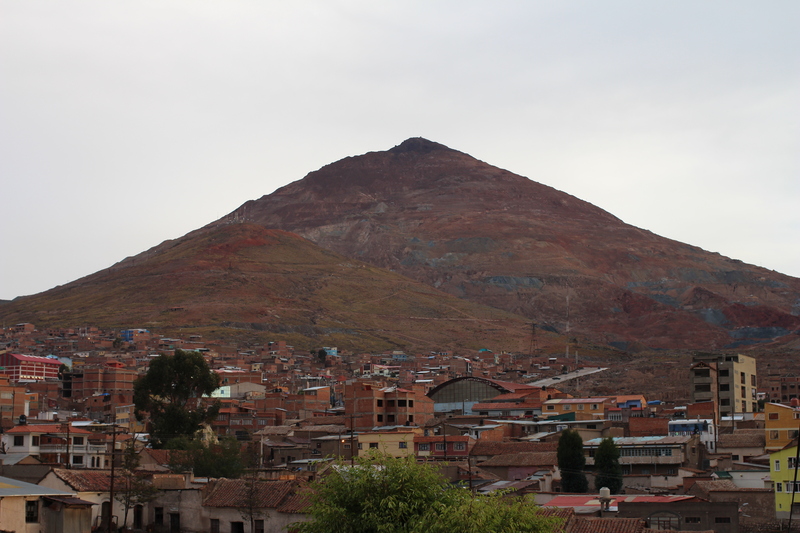 I did enjoy just walking around Potosi, going to the markets, and enjoying the views around Cerro Rico. 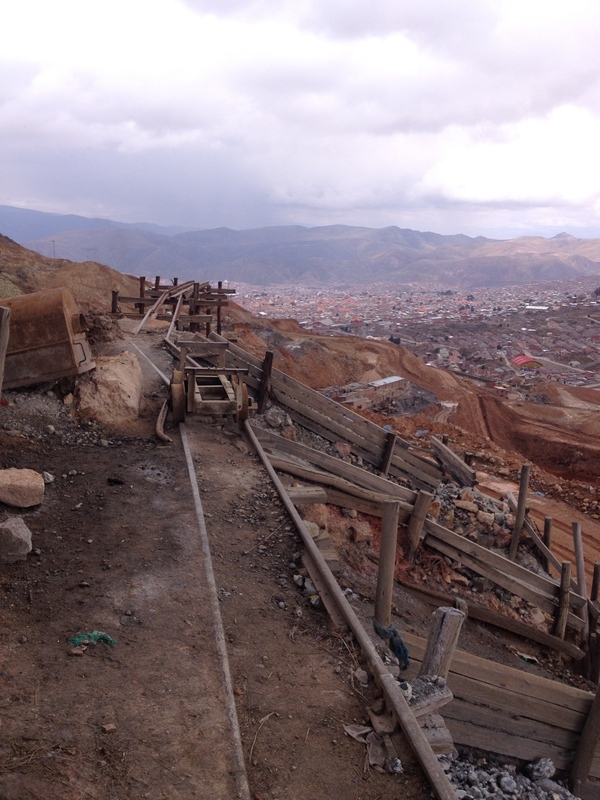 Even saying that, I wish I had skipped Potosi so that I could have spent more time in Sucre! Me ready to go into the mines before the tour began! Cathedrals are everywhere in Potosi! I loved your pictures and the details of your trip to the mine. I can’t imagine the diffculties for people working there throughout the week. It’s wonderful that you took the risk and visited. Thank you for the compliment on the pics! I really wanted to find out more about the lives of the workers, but learning what their workplace looked like was really interesting. I enjoyed reading your interesting post. The pictures added to my understanding of such an unusual place. I love the churches. Thanks for sharing. 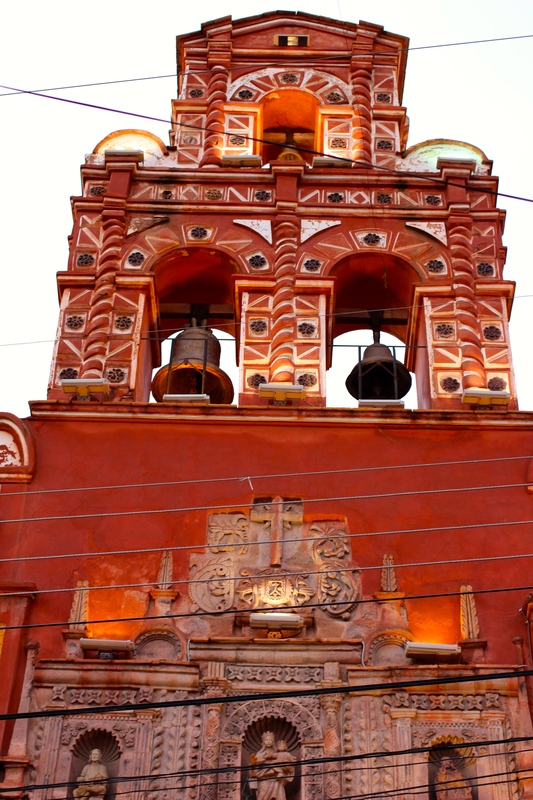 According to Rough Guides, there are “25 or so churches” in Potosi. If you love colonial churches Potosi is a great place to visit! The mining tour your describing really captured my attention. Initially I thought is it a ‘tourist trap’, then I thought why would the miners want visitors in their mines? But on the other hand, visiting will give the visitors a really good look into this world. Even if the visit was somewhat of a disappointment I believe we learn a lot from visiting these types of locations, we really learn how to appreciate our life:) I cannot imagine how horrible it must be to work in a mine where you cannot walk up straight and cannot breathe. I am sure the protective equipment is non existent just judging from you pictures. Maybe some of the income from the tours go to the miners? I am torn with regards to if it is ethical or not to participate in these tours – what was your experience actually being there and experiencing this yourself? I saw some tours go through with proper looking face masks, but I don’t imagine many miners paying the extra cost to get disposable masks. I was told that most of the money from the tour went to the miners. The tours also strongly encourage tourists to buy “gifts” for the miners.